With a fully furnished retro 60’s apartment hanging from the ceiling, Rochester’s Bug Jar is the original Upside Down. There were some frighteningly stranger things going on between it’s walls on Sunday, November 12. 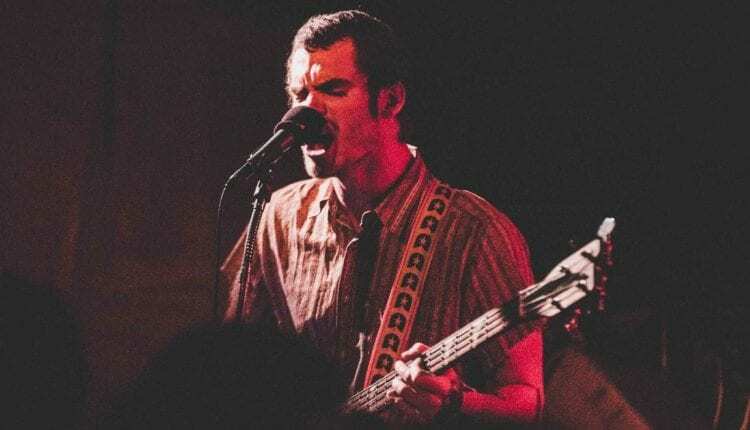 The music put forth by Nashville’s All Them Witches and Rochester’s own King Buffalo could be described as a lot of things: rock, metal, blues, psychedelic, sludge, stoner. But perhaps one word summed it up best: BADASS. How else could one elicit the concentrated pulsating power billowing through the small rock club? What else could properly describe two different bands sporting shirtless drummers? This saga began with an ominous electric drone put out by King Buffalo‘s bassist Dan Reynolds. The suspense built as guitarist Sean McVay added some additional noise before drummer Scott Donaldson found his way to the kit. The set opening “Orion” continued to build steam until it exploded into a full-fledged rock out. “Can you hear me / through the smoke and the haze?” The band seems to run on the antithetical premise that the slower it gets, the harder it rocks. During “Drink from the River Rising” an unnatural pulsating from the intersection of guitar and bass had the entire space vibrating, before finally closing out with the same electronic drone that began the set. 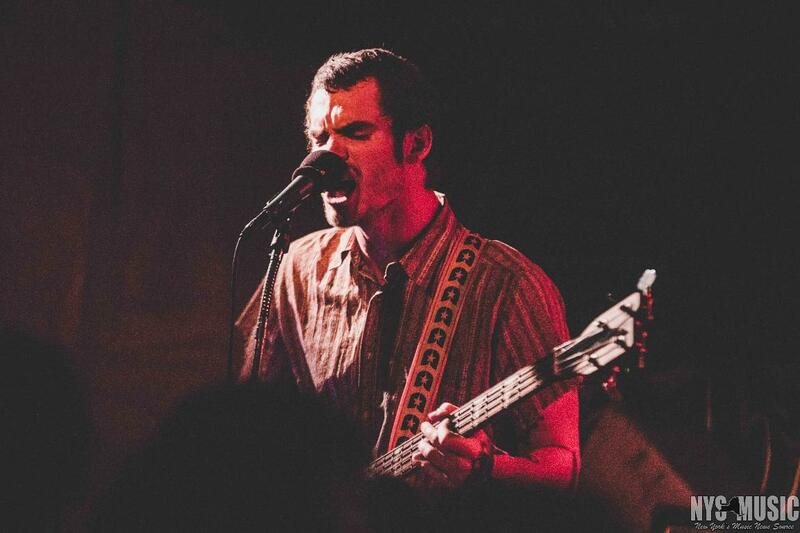 All Them Witches took the stage to deliver more of the same: Brooding, mysterious and bursting with dark energy. They may be the most un-Nashville Nashville band, though their geography shines through with some Southern-rock touches. The band, with Charles Michael Parks Jr. on bass and lead vocals, Robby Staebler on drums, Ben McLeod on guitar and Allan Van Cleave on keyboards, showed a great propensity for stretching songs out in long bouts of improvisation. It appeared early on with a massive “The Death of Coyote Woman” that opened and closed with extended blues rock jams. Staebler towered over his drums, pounding out an incredible amount of sound from a bare bones kit. No one’s calling them a jam band, but they could spar with the best of them. At the heart of the set laid a 30 minute segment that began with “Internet,” moved effortlessly into “Blood and Sand/Milk and Endless Waters” before finishing up back at “Internet.” Filling every gap within were flourishes of psychedelic organ and electric piano, staccato guitar freak outs, melodic slide guitar progressions, and low end drum rumbles. Behind driving bass work the pace quickened and mellowed over multiple distinct sections. In a quasi-apology, Parks announced, “That was a song about being alive, thanks for sticking it out with us.” There was no apology needed though, it was glorious. With the blistering rock-out “Sleeping Through the War” the set closed showcasing their dynamic variety. The crowd which had patiently meandered with them earlier in the set, took the opportunity to squeeze the last bit of energy out of the weekend and a mosh pit broke out. The show ended just before midnight, and as Sunday turned to Monday, reality set back in. Unfortunately, the right-side up beckoned.